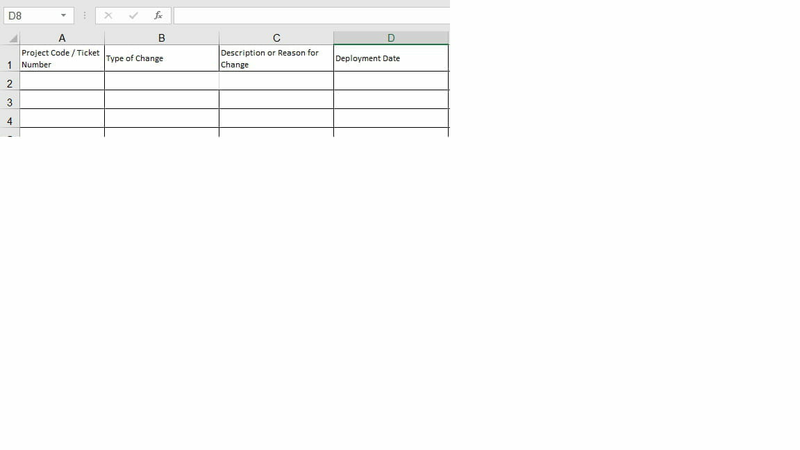 This spreadsheet is a lfat spreadsheet with columns mirroring the "labels"
I have also inserted a Command Button from the Form Control and associated it with the macro. I would like people to fill in the form with their details and click on the "Submit" button. For every new request, a new row is added on B.
I really hope I make sense. The code below will only run when all fields contain data. Delete code lines 4-7 if you don't want this. Also, column D on the second sheet will get stamped with todays date. Delete code line 14 if you don't want this. MsgBox "Please enter all fields before submitting", vbCritical, "Incomplete data"
2. The form is recognising blank fields. When I add another request (even after closing down the file and re-opening the file) the previous request in B gets over-written - so there is always only one row in B. 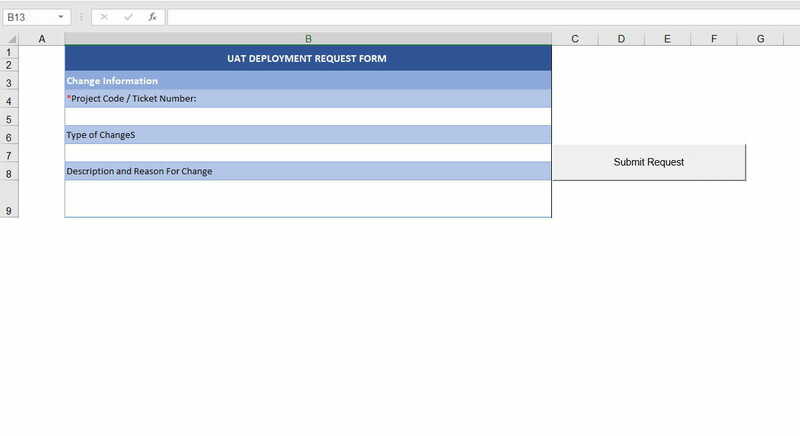 Any chance we could accumulate the requests on the Request Report (B) - get Excel to add the new request to the next available row in Request Report? Thank you so much for all your help. You practically got me to a position where it was working and all I had to do was tweak it every so slightly. You are welcome NazCarr, glad I could help. The operations you are asking about, is a database. Spreadsheets are for complex calculations, not storing data. There is no coding involved with a database. Just entry form, and reports. 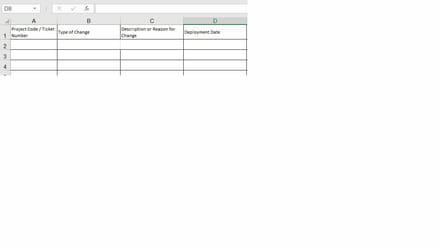 If we are able to copy data from sections into another sheet, by the use of a command button, then I think there could be a way out for me? Well I am jist saying, the learning curve for making forms and reports in Access, is way less sharp than VBA. Better yet, record a macro. Edit the macro to be dynamic by placing variables instead of the hard code the macro writes! I have to admit that I am learning as I go... so any help would be greatly appreciated.